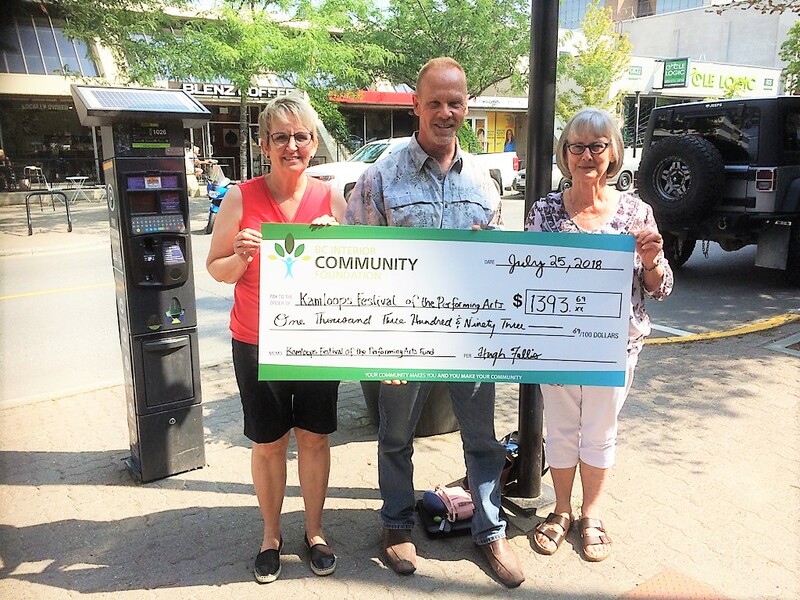 Pictured: Kamloops Festival of the Performing Arts President Carol Edwards (right) and Vice-President Annette Glover accept the KFPA’s 2017 endowment income from BC Interior Community Foundation Executive Director Rob Miller. 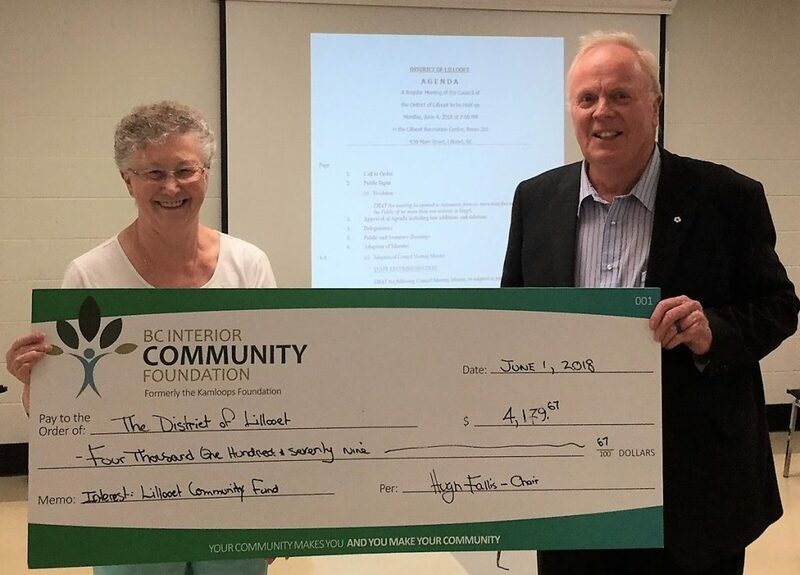 Big Thanks to Annette Glover and Carol Edwards of Kamloops Festival of the Performing Arts for coming out to accept their Endowment Interest Cheque. We truly appreciate your contribution to the Arts in our community. 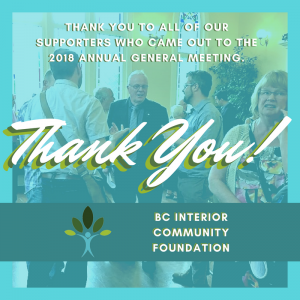 This wonderful arts organization has been in Kamloops since 1930 and continues to play a key role in supporting the development and education of many performers in our community. The Annual General Meeting was held on June 21, 2018, and was well attended with close to 40 supporters coming out to see the presentations of our Spring 2018 Small Grant Cheques, as well as Special Recognition for Service to the BCICF Awards. Special thanks to Store Manager Neil Allkins, Produce Manager Darren Tibbs, and Cut Fruit Clerk Tim at Save On Foods #931 Sahali for their donation of Fruit and Vegetable Platters; we truly appreciate your support of our community. Our appreciation also goes out to St. Andrew’s on the Square for providing an excellent venue and wonderful service from site manager Mel. 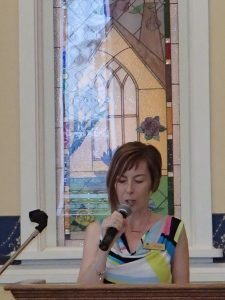 Our appreciation also goes out to Kathy Sinclair, Executive Director of the Kamloops Arts Council who spoke to our Members about the Crossing Bridges Arts Outreach Seniors Program, which received funding in 2017 from the BC Interior Community Foundation. This wonderful program supports accessible arts workshops to seniors facing challenges such as isolation and loneliness, depression, anxiety, dementia, and physical health issues; Crossing Bridges Arts Program helps participants feel a sense of connection, provides them with opportunities for creative self-expression, socialization, and builds self-esteem. Throughout the program, seniors can re-connect with the larger community by sharing their artwork with the public. 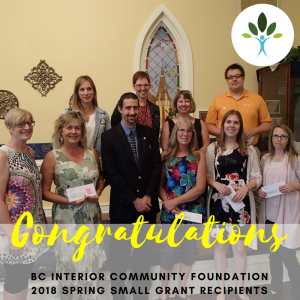 Kamloops Early Language and Literacy Initiative (KELLI) Project Coordinator Maureen Doll also spoke about how the BC Interior Community Foundation funding that their organization received in 2016 went to support 3 community events in 2016/17. KELLI uses their events to reach out to the community and increase awareness and availability of quality literacy enrichment activities and events for families with young children. All events are available at no cost to participants. 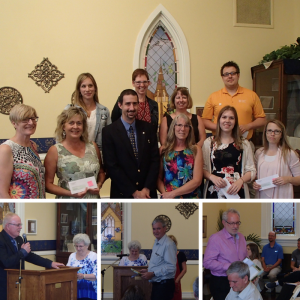 Kirsten McDougall presented Special Member Recognition Awards in recognition of those who have volunteered years of service as both board and committee members. 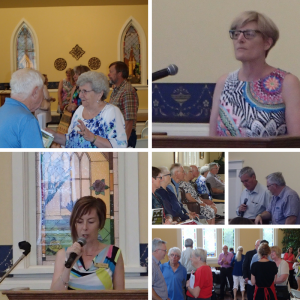 Those who were present include Helen Barnett, Michael Black, George Campbell, Kathy Humphreys, Peter Olsen, Ross Parkin, Greg Reid, and Gail Winchman. President Hugh Fallis also honoured Kirsten McDougall for her contributions to the BCICF. Honoured but not able to attend were Terry Bepple, Mr. & Mrs. Richard Blair, Janet and Spence Bryson, Russ Chambers, Harriet Chave, Paddy Harrington, Hoverly Hove, Cameron Murray, and Colin Noble. 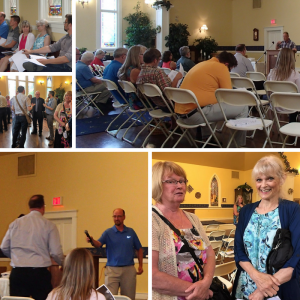 Big Thank You to everyone who attended! 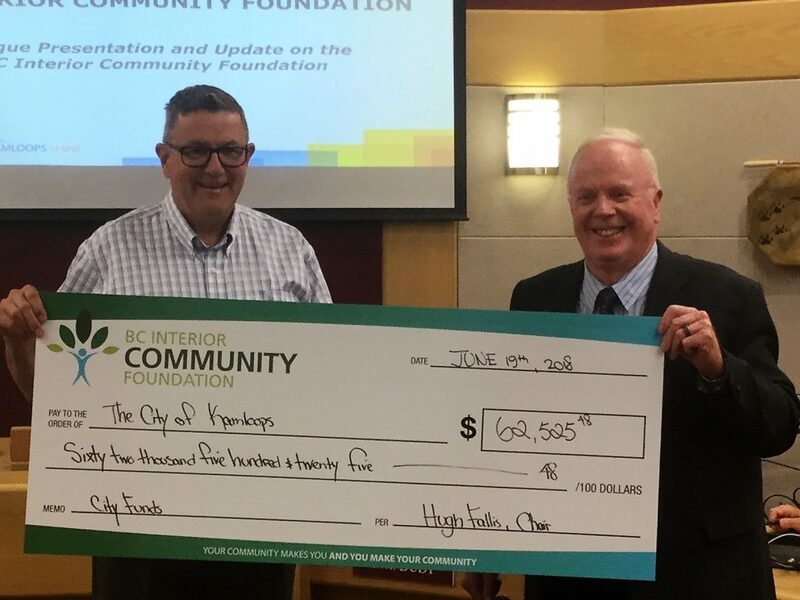 City of Kamloops Mayor Ken Christian accepts the City’s 2017 endowment income from BC Interior Community Foundation President Hugh Fallis. BC Interior Community Foundation President Hugh Fallis presents Kamloops Hospice Association with a cheque for the interest from their fund. An endowment fund is a great way to ensure operational monies for a charitable organization are available every year. Hospice Executive Director Wendy Marlowe (far right) and Graham Davis, Chairman (far left), along with Hospice Staff & Volunteers are also pictured. 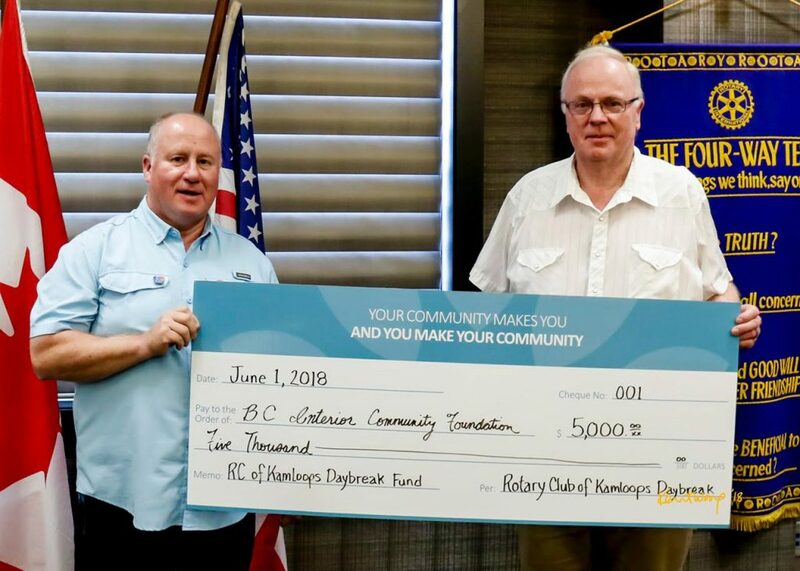 BCICF President Hugh Fallis meets with the Rotary Club of Kamloops Daybreak to accept their initial contribution for their new fund. 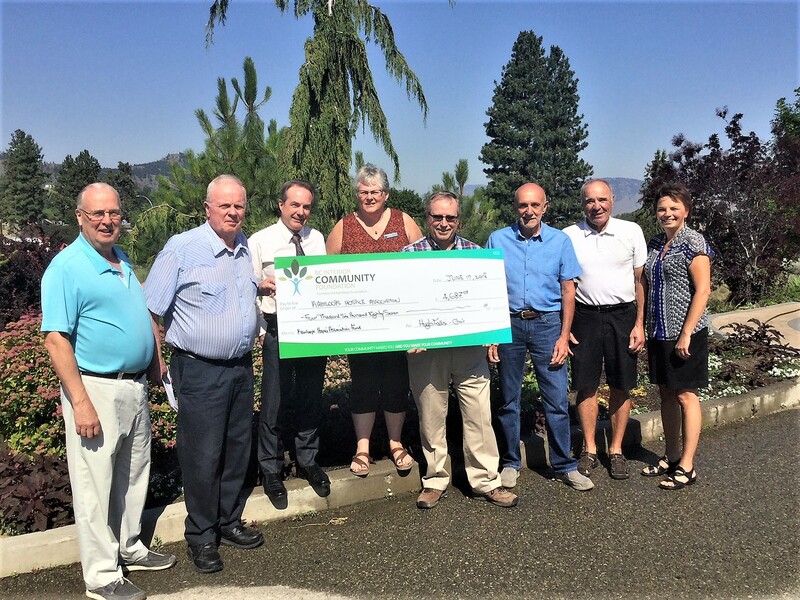 President Hugh Fallis presents a cheque to the District of Lillooet during a recent visit. 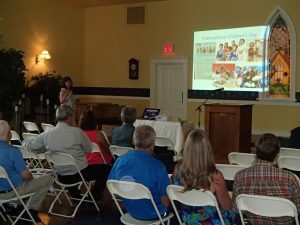 The Lillooet Community Fund helps the District fund projects in their area.